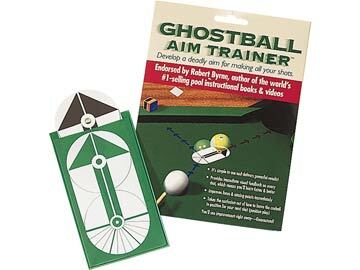 The Ghostball Aim Trainer is simple to use and delivers powerful results! Through visual reinforcement, this hands-on product takes the confusion out of two of the most difficult aspects of the game: How & where to aim, and how to leave the cueball in position for your next shot. In easy to understand terms, you'll learn the Ghostball method of aiming, a highly accurate technique used by pros and master instructors. You'll see improvement immediately on cue shots, cueball control, position play and more. 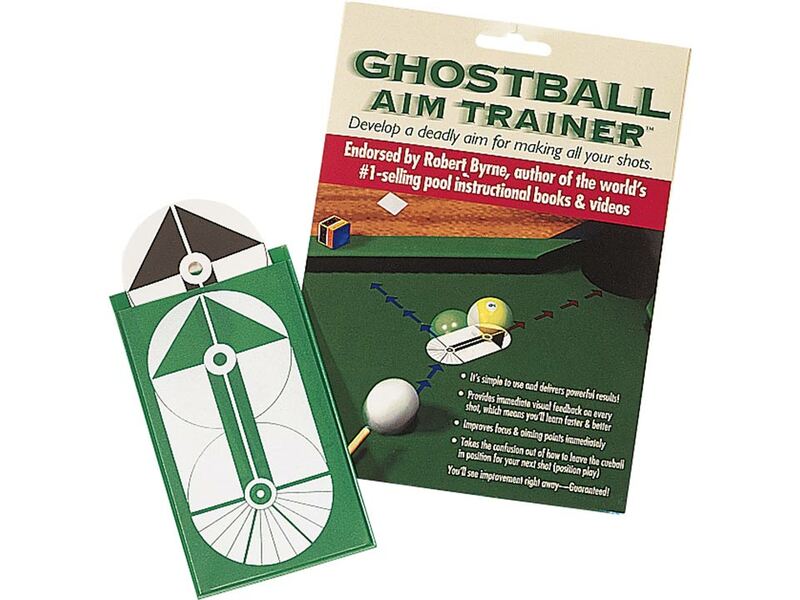 The visual nature of the Ghostball Aim Trainer trains your minds-eye to quickly see the aiming point, and to see where the cueball will go once it hits the object ball. This is called 'position play', and learning or mastering how to leave the cueball in position for your next shot can greatly enhance the fun you have playing pool. These and other topics are covered in a Lesson Booklet designed to guide you through basic to advanced level techniques at your own pace.